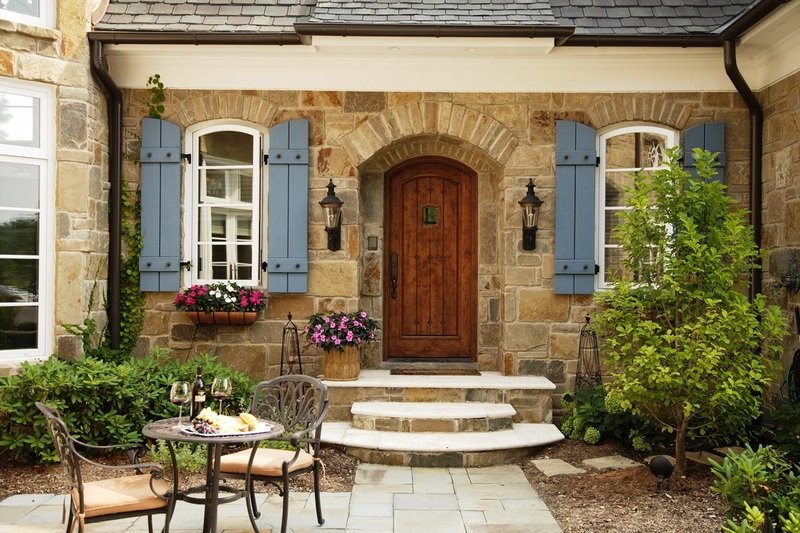 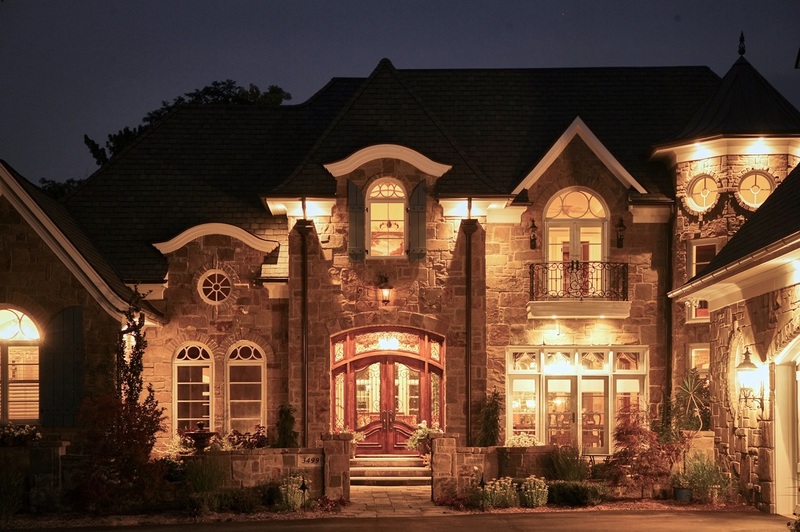 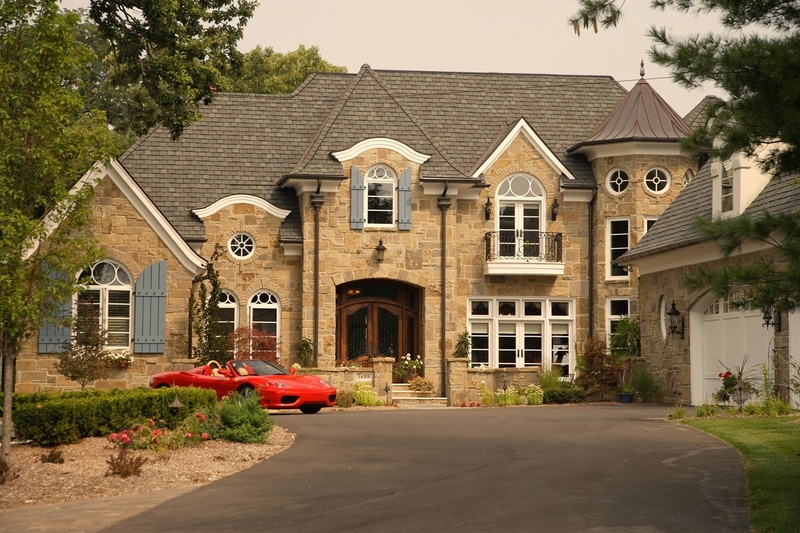 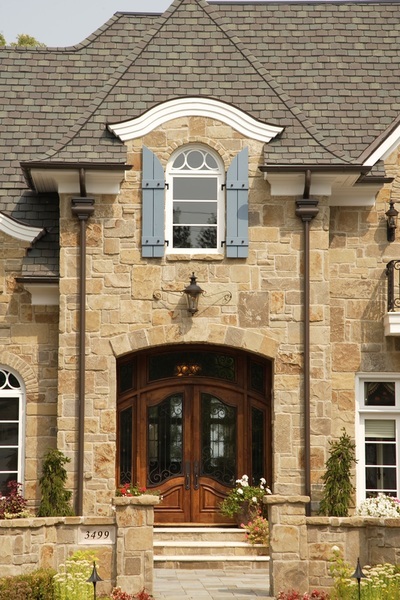 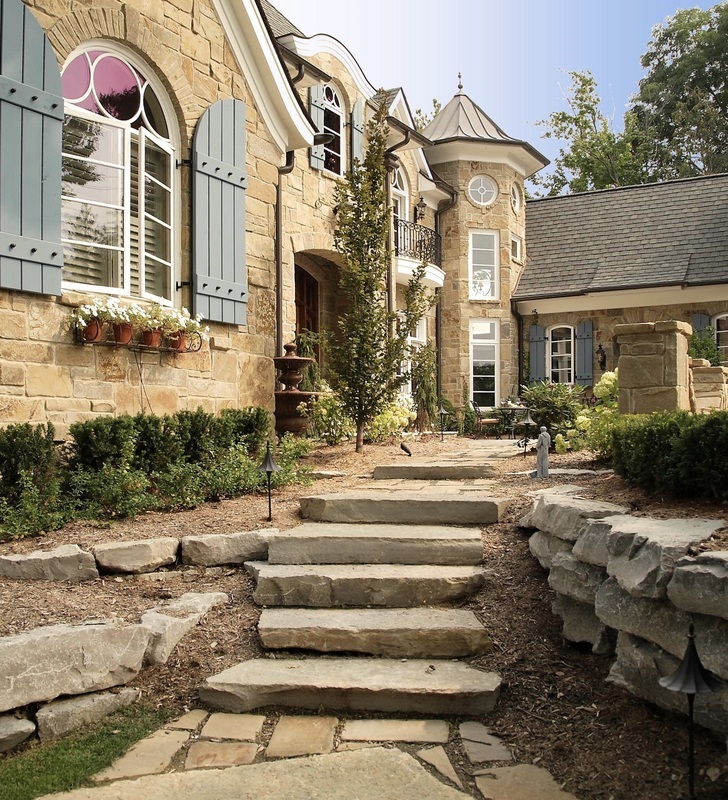 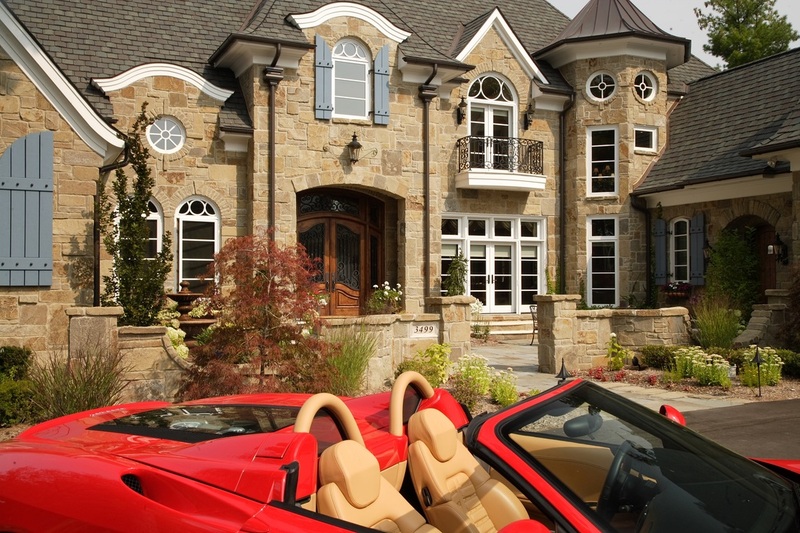 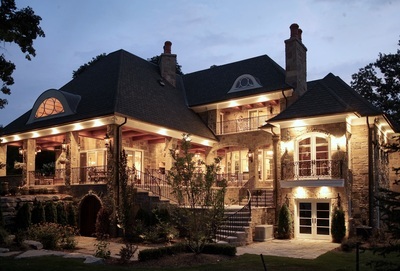 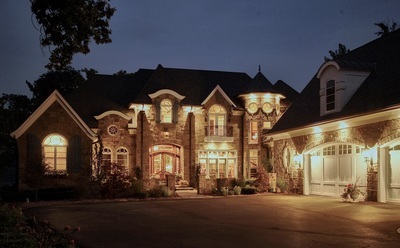 ​Inspired by the stately manor homes of old-world European architecture, especially those of French Normandy, this exquisite all-stone home was designed to look as though it were built decades ago. 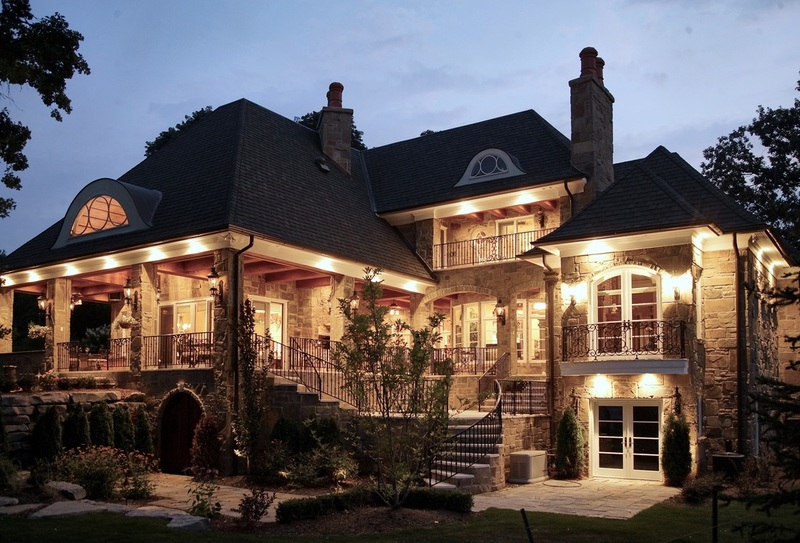 The design concept was to achieve an old-world elegance and character, but at the same time create an extremely livable home with modern 21st century hi-tech amenities. 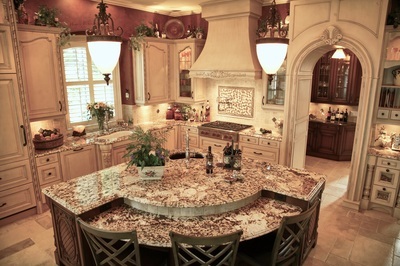 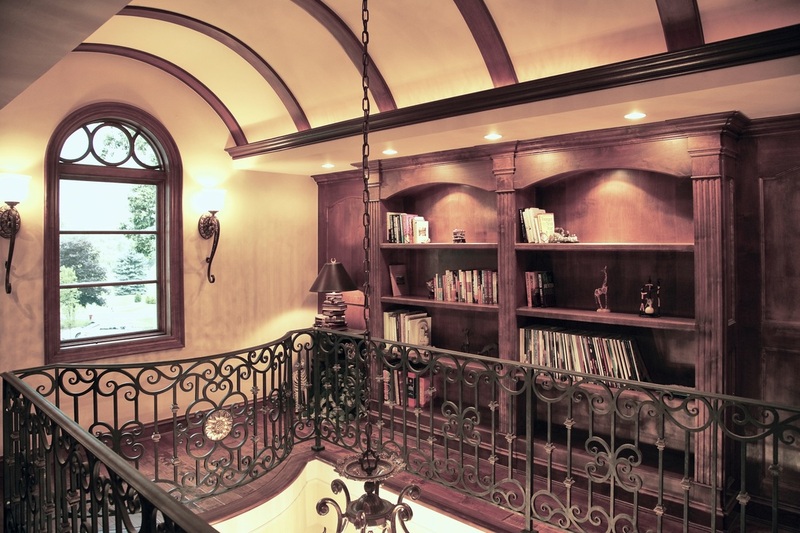 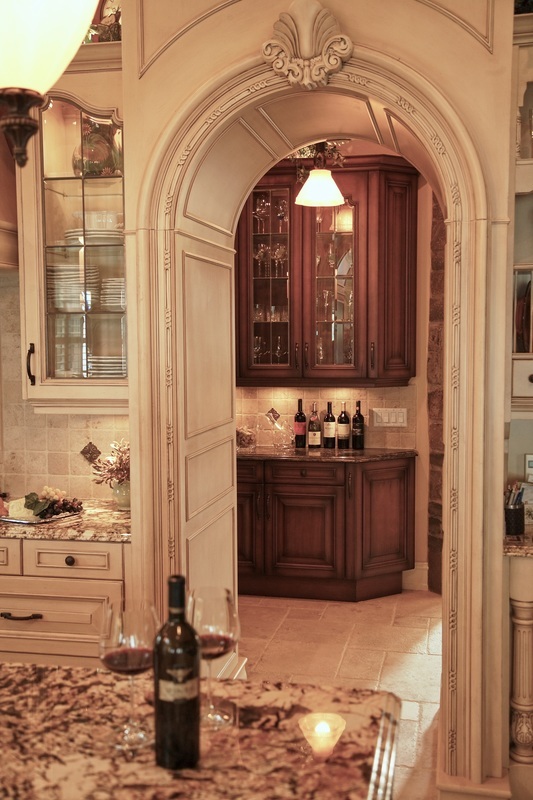 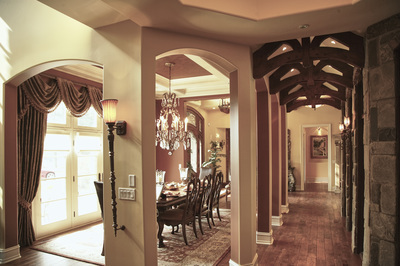 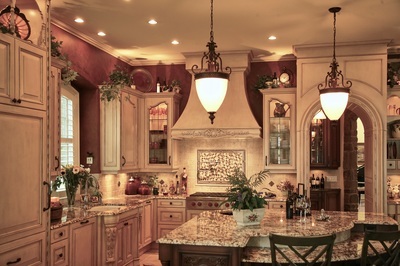 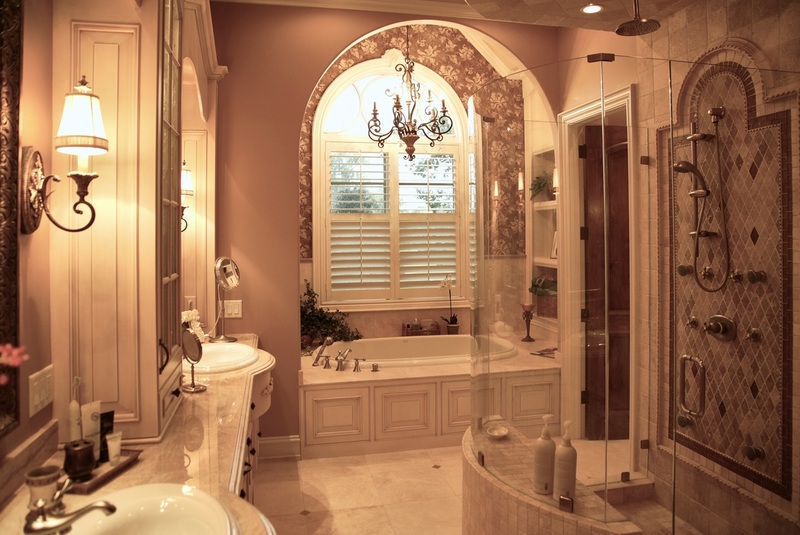 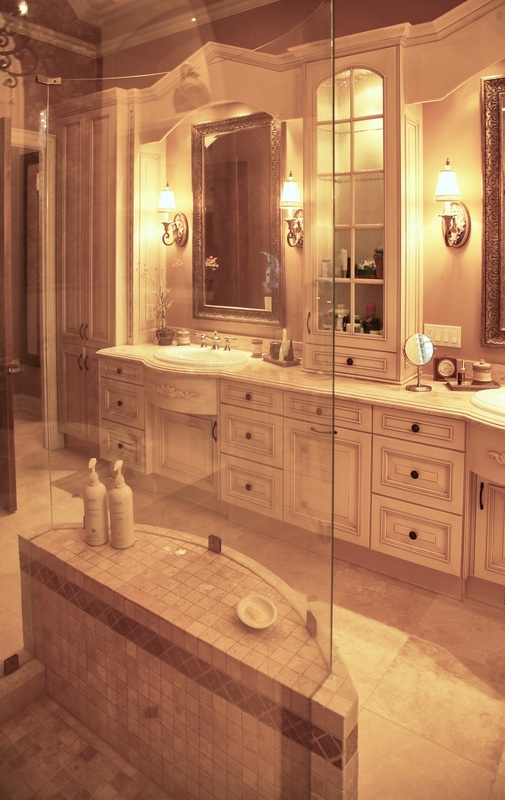 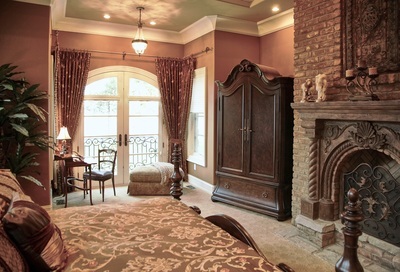 The interior design takes cues from the client’s love of European-style architecture. 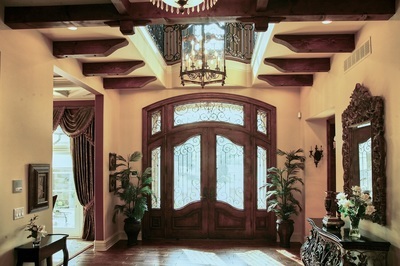 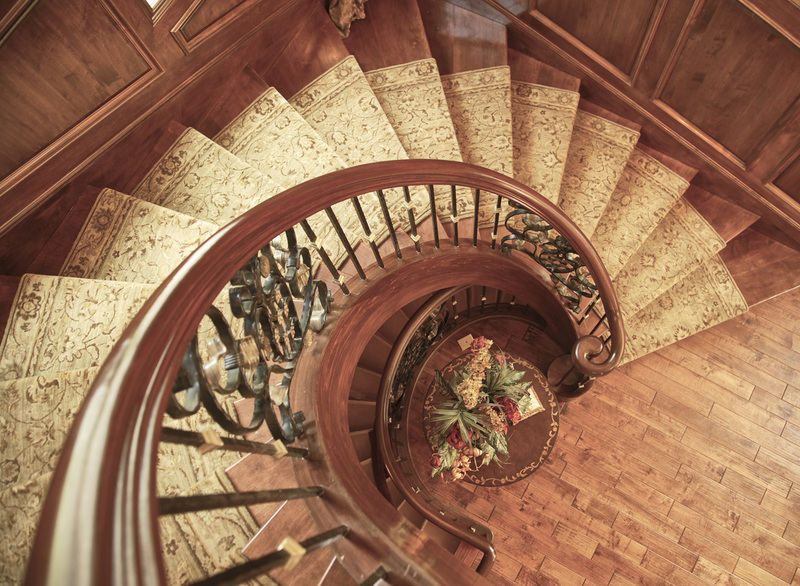 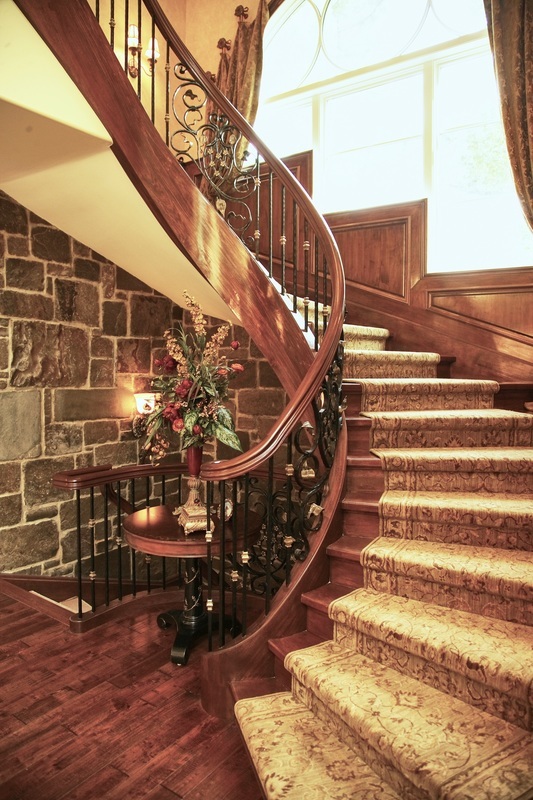 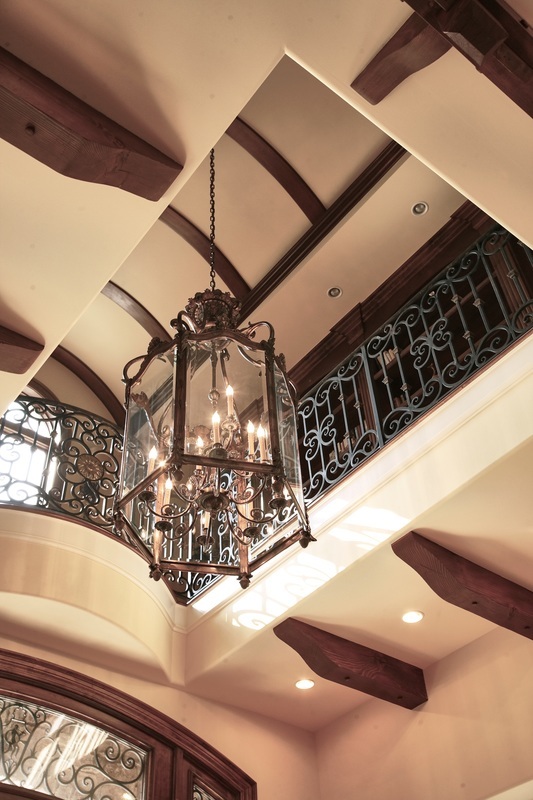 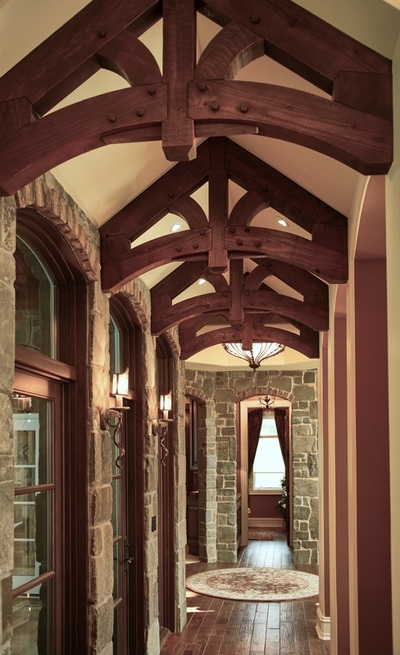 A heavily textured interior environment was created with a blending of hand-hewn timbers, heavy wide-plank wood flooring, interior stone, and detailed wrought-iron work that continues throughout the house. Exquisite barrel-vaulted, ribbed, beamed, and coffered ceilings vary from room to room and complement the extensive and custom millwork. 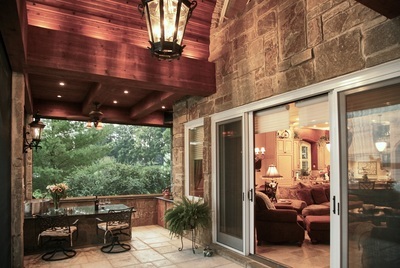 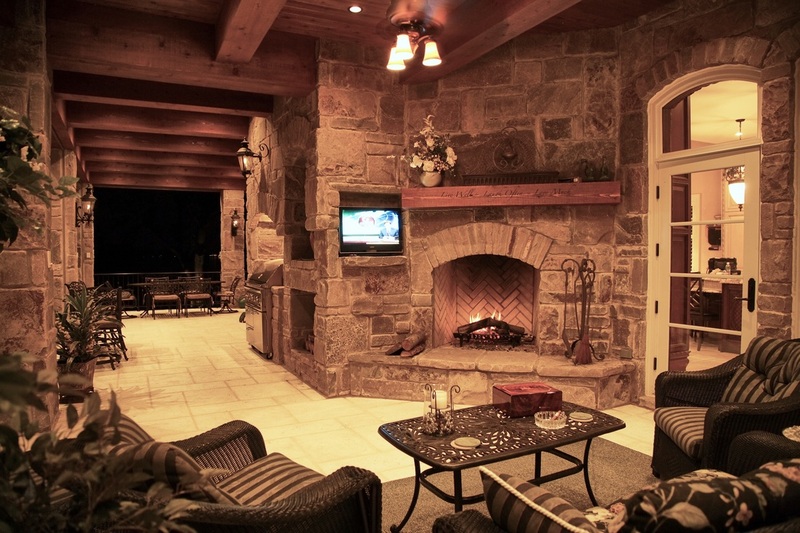 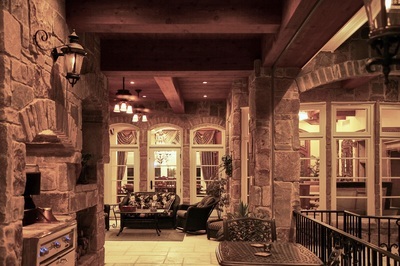 The old-world charm of wrap-around stone loggias and flickering gas lanterns blend effortlessly with modern day conveniences such as electric, concealed “phantom screens”. 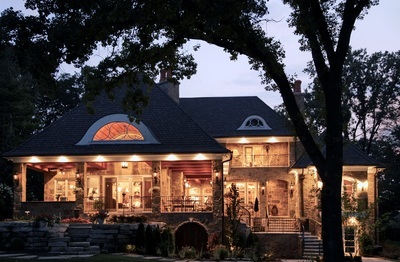 This home was designed to take into consideration its unique and very advantageous site which is adjacent to and respects the traditional architecture of a long-standing private country club. The primary interior spaces, as well as extensive outdoor living spaces, are organized to capture magnificent views of the all-sports lake on which this house is sited. 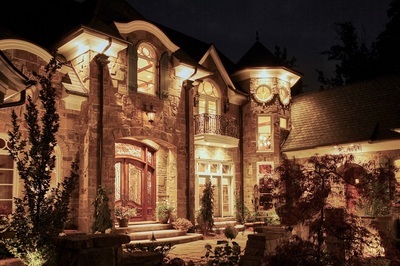 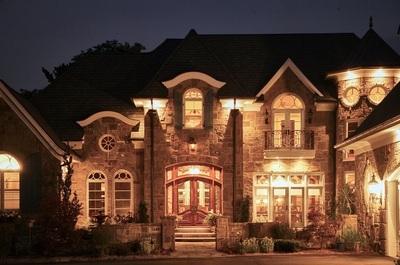 The result is an extremely livable and elegant family home filled with charm and character. Our Contemporary Architects in Bloomfield Hills, Michigan design high-end homes throughout the U.S.